The thing with social log-ins is that I can never remember which network I use to log in. Whenever an email option is given, I always select that. I control my email address, so I know it will never go away. These other social platforms, we are at the whim of these third party companies. 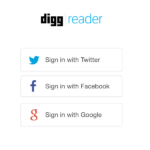 I’m staring at the Digg reader log-in screen giving me sign-in options for Twitter, Facebook, and Google Plus. Hmmm. I don’t remember which network I used to sign up for Digg. 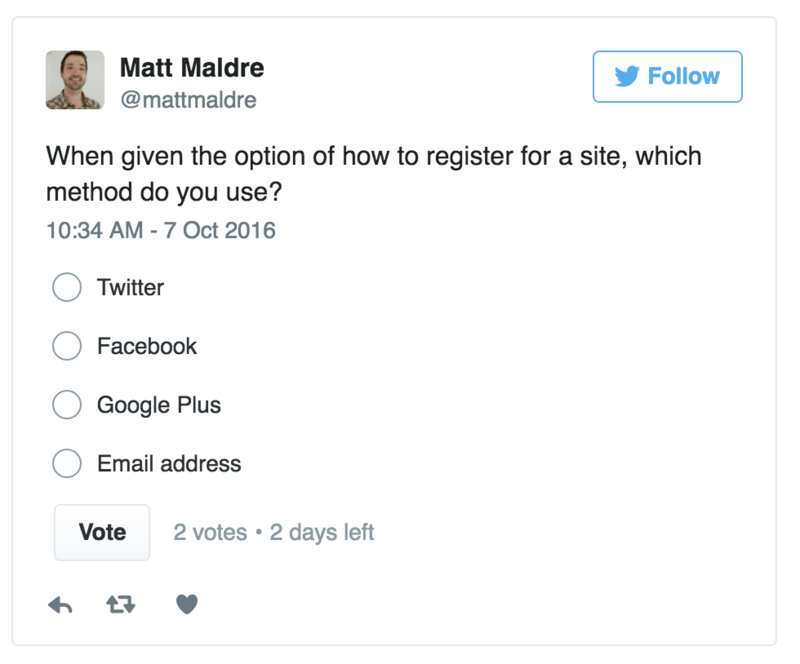 For sites that don’t have an option for email address log-in, I should make my own priority list of which social network I use first.